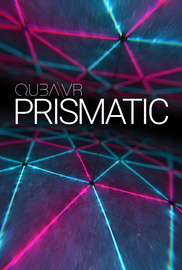 Prismatic is my first independent project, as a self-standing animation. This is a VR film experience. VR Headset required. Hang tight because your adventure is about to begin! Jump right into the experience and download the VR video file now. Prismatic is my first independent project. It has begun its existence as a proof-of-concept animatic for a larger, practical set I am currently developing. Soon though, it took life on its own and became a self-standing animation I am happy to share with you today. Rendered in Stereoscopic 360°, Prismatic is best experienced using a virtual reality viewer, such as Oculus Rift, HTC Vive, Gear VR or Google Cardboard.